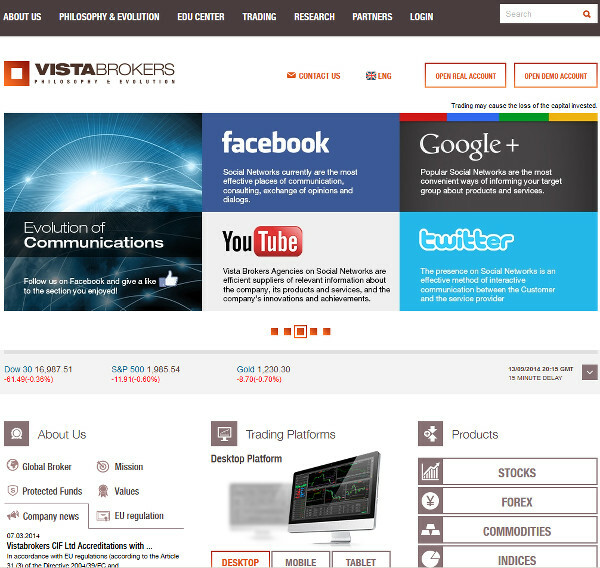 Vistabrokers — a CySEC-regulated company with easy entry conditions and rather low (by modern standards) maximum leverage of 1:100. The only available platform is MetaTrader 4. Their main selling edge is their analytics and VIP conditions available to rather small accounts. FIBOGroup removed support for Integral FX Power Trader platform. IG Markets added MT4 trading. Forex Club removed ActTrader platform. FXCM offers NinjaTrader demo accounts. XTB no longer support xOption on demo accounts. Trader’s Way now accept US clients. NetoTrade is now regulated by CySEC. TradeView Forex removed TRADEVIEW PRO platform from demo and real accounts. FXDD no longer offers Integral FX Power Trader platform, but offers JForex trading platform.